As far as ranking problems are concerned, you have to remember one simple formula. Let we start with our tutorial. At the end of the tutorial, you will find a short practice test. Please do take the test so that you can be double sure that you have understood well. In type 1, you will know the rank of a person from either the start (or the end). Using that data, you have to find the rank of that person from the end (or the start). Below example will help you. Example Question 1: Reena is 10 ranks ahead of Priya in a class of 40. If Priya`s rank is 20th from the last, what is Reena`s rank from the start? Now you have to apply the formula that you saw in the introduction. In type 2, you will find ranks of a person from the start and the end. You have to find the total number of people. Let us see an example. 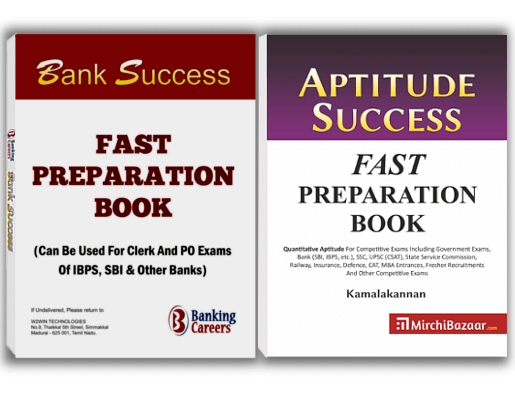 Example Question 2: Venkatesh ranks 8th from the top and 24th from the bottom in the class. How many students are there in total? In this type, positions of the people in a sequence will be interchanged. You have to solve these problems after processing the data given. Example Question 3: In a row of girls, Uma is 10th from the left and Meena is 20th from the right. If they interchange their positions, Uma becomes 15th from the left. How many girls are there in the row? Though the heading of this type looks complicated, this is one of the easiest. There will be intervention at certain time of a frequent event. Based on that time data you have to solve the problem logically. Example Question 4: A bus leaves to Chennai from Bangalore every 30 minutes. A passenger inquired about the next bus to Bangalore, and he was informed that the bus left 15 minutes before, and the next bus will be at 5.00 pm. Find at what time the passenger had enquired? For every 30 minutes, there is a bus. The next bus will be at 5.00 pm, so the last bus must have left at 4.30 pm. The informer said that the bus had left 15 minutes before his inquiry. So the time of inquiry is 4.30 + 0.15 = 4.45 pm. Example Question 5: Gita went to the temple five days ago. If she goes to the temple every Friday, then what day of the week is today? She went to temple five days ago i.e., Friday. Five days from Friday is Wednesday. 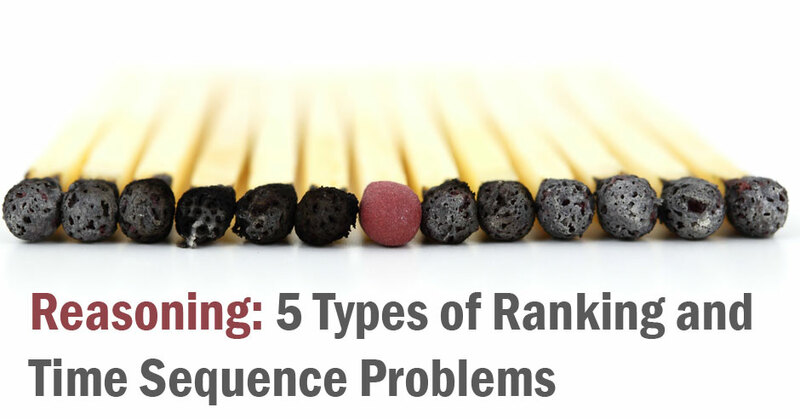 Share on Facebook"Reasoning: 5 Types of Ranking & Time Sequence Problems"